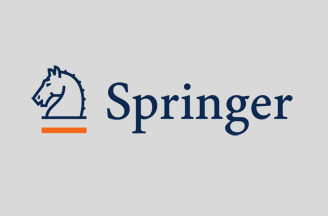 Springer and the Basque Center for Applied Mathematics (BCAM) will partner to publish BCAM SpringerBriefs. The books will consist of concise summaries of cutting-edge research and practical applications in mathematics. These new SpringerBriefs will focus on the publication of content in a number of disciplines within mathematics. These fields include applied mathematics, finance, statistics and computer science. BCAM has appointed an international board to manage the editorial responsibility for the new books, made up by Enrique Zuazua in Bilbao, Spain; Irene Fonseca in Pittsburgh, USA; Juan J. Manfredi in Pittsburgh, USA; Emmanuel Trélat in Paris, France; and Xu Zhang in Chengdu, China. All books in the series will be available as eBooks on Springer’s online platform, SpringerLink (link.springer.com), and in print-on-demand (POD) format. The mission of the Basque Center for Applied Mathematics (http://www.bcamath.org/en/) is to strengthen the Basque science and technology system by performing interdisciplinary research on the frontiers of mathematics, and to attract and train talented scientists. The goal is to get the excellence of its results recognized at an international level.